Just as we posted the map below, another version came in showing that a new site in Connecticut is infected. 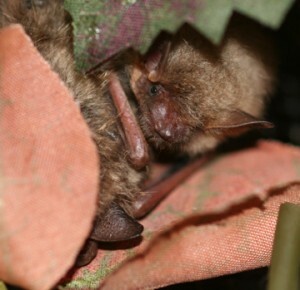 According to one of the state biologists, the site had lots of tri-colored bats (formerly called eastern pipstrelles). The biologists think the infected site was the winter home for some bats they study every summer. Everyone is very sad to think those bats might be gone forever. Next StoryToo young to follow us on Facebook? I am sad to hear that too.